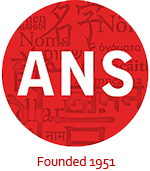 The Department of Translation Studies, University of Innsbruck is seeking submissions for a conference titled “New Words and Linguistic Purism”, to be held in Innsbruck Austria, October 25-26 2018. New words are a frequent phenomenon. For linguistic purists they constitute a threat to the standard language. Of the three major sources of names for new concepts, borrowings are generally considered the strongest offense. Word formation is more acceptable, because it uses the proper devices of a language. The extension of the meaning of existing words is often not noticed as a change to the language. Different languages each have their own tradition as to which mechanisms are more or less acceptable in which circumstances. In translation, the absence of a word in the target language often requires the translator to choose a strategy along one of these lines, which can affect the acceptance of the target text. The call for papers can be found a the website. The deadline for abstracts is May 15, 2018.